In Aker BioMarine we are committed to improving food production and human health through eco-friendly and efficient food and nutrition. 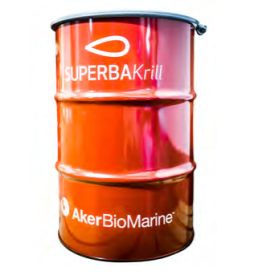 We develop, market and sell the ingredients produced from sustainably harvested and traceable Antarctic krill to the animal and fish feed, food, dietary supplement and nutraceutical markets worldwide. We believe in placing our people at the heart of everything we do. We make products and find solutions that are unique, we do things no one has done before, and we deliver products that meaningfully impact businesses and people. Our employees are determined and make bold decisions. They are proud and passionate about what they do and are strengthened by the diversity of our organization. When we seek inspiration from comparable companies and industries, we generally find it at Silicon Valley technology firms. They are driving transformation as we do, but most importantly, they take care of, engage and empower their people. From day one, sustainability has been at the core of how Aker BioMarine conducts business. By listening to diverse stakeholders, we are able to identify the most important ecosystem challenges and focus on overcoming them. In the early days, a key challenge was eliminating harvesting by-catches, which we accomplished by developing our Eco-Harvesting® technology. 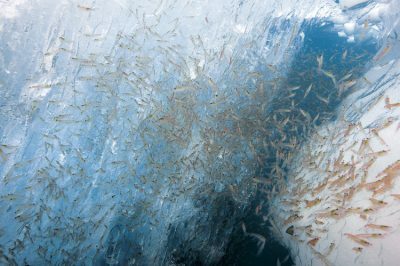 This invention allows us to maintain the nutritional integrity of the krill and minimize environmental impact. This enables us to bring high quality products to market containing a high content of bioactive ingredients, e.g. phospholipids, omega-3s and astaxanthin, which have documented health benefits in both humans and animals. Building on our established position, we have worked to promote transparency and traceability in the krillfishing industry. In 2015 we established a research foundation together with WWF and ASOC to ensure that enough research was conducted in the area where we fish. Working together with the right partners is important to us, both when it comes to the environmental NGOs and researchers in the Antarctic, but also when it comes to customers. We work closely together with our customer to provide them with the right tools to embed sustainability into their business and experience the benefits. To us there is no disagreement between sustainability and profitability. The two go together, and if sustainability is integrated in the right way the two reinforce each other and result in a company that thrives without compromising social and environmental development. With a market share of 60% and cost leadership in the category we have successfully and sustainably harvested and commercialized a new biomass, and we are constantly looking for new opportunities to innovate. We believe that, if managed responsibly, the Ocean can provide us with solutions to many of the challenges we are facing. Sustainably harvested with virtually no by-catch. 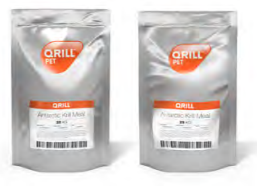 Animals find Qrill™ Pet products palatable. 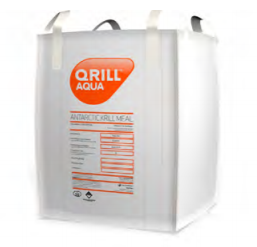 Salmon fed on diets containing Qrill™ have better fillet quality, fat distribution, and yield.